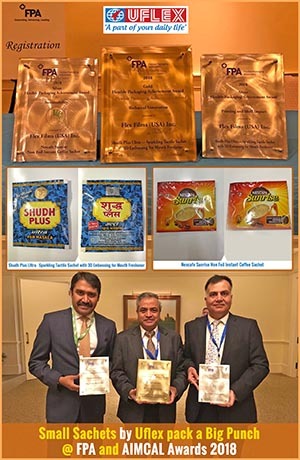 Noida – One of the reasons why Uflex is at the Helm while its Founder, Chairman & Managing Director Mr. Ashok Chaturvedi revered as the Father of the Indian Flexible Packaging Industry is the fact that the concept of sachet packs in India was introduced by him back in the mid-eighties. It was for these sachet packs that the expensive FMCG brands for ketchups, shampoos, mouth fresheners etc. suddenly came within the reach of the masses changing the very way these products were marketed.